Please join us at our upcoming seminars or visit us at our next trade show. Power Quality Training and Seminars for Harmonics, Power Factor, PWM Voltage and more. In person or web based seminars can be customized to meet your needs. 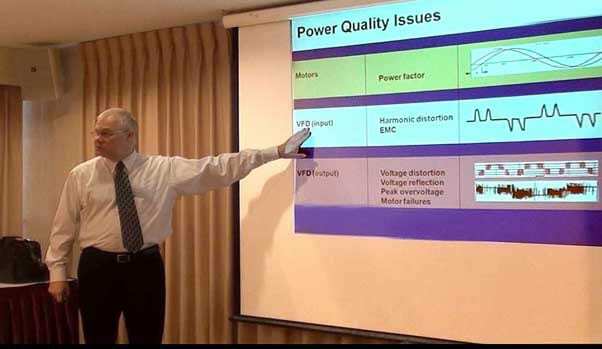 We offer explanations of the causes, problems and solutions for power quality topics for commercial, industrial, institutional and utility applications. Seminars include information geared for system integrators, architectural engineers, grid-tie applications, OEMs and more. Time is included for questions and answers. Call us today if you wish to schedule a private seminar. Visit the Calendar for Power Quality Seminars or Trade Show.